“Zombie Plague” is a Print-and-Play boardgame by Hackwerks Games. It was originally released in 1991, and has since developed a fan base which continues to refine and expand on the game system with additional expansions. The original Print-and-Play game can be downloaded from here. 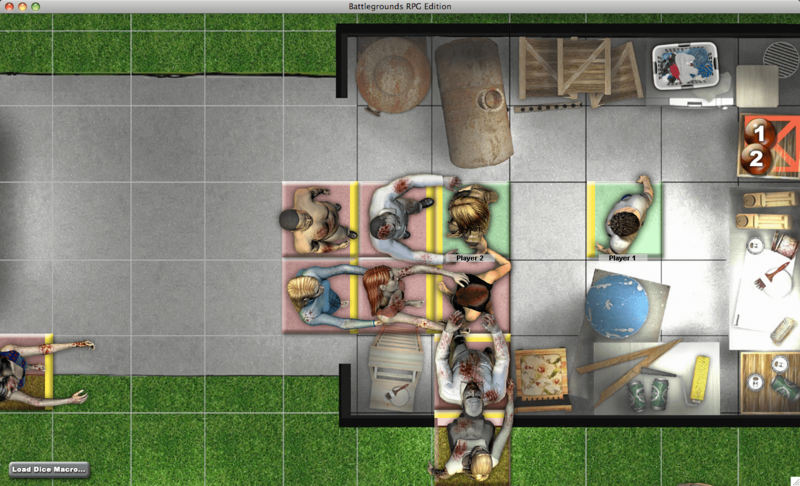 This digital conversion of Zombie Plague for use with BGE is being released with permission from the original designers. Zombie Plague is simple, fast, fun, easy to learn, and very strongly themed (it is very reminiscent of the classic George Romero zombie movie, “Night of the Living Dead”). Every game of Zombie Plague tells a story, almost as if you were in an interactive zombie movie. It’s even fun if you get killed, since you come back as a zombie and can continue playing, now intent on killing your former teammates. Zombie Plague’s game system is very flexible and highly suitable for tweaking (by adding house rules), if you are so inclined. The above download contains everything needed to play the game (including a BGE-specific version of the rulebook) if you already have at least one Gamer Client license (v1.5 or higher). For multiplayer games, the extra players will need a Gamer Client of their own, or they can use the free BGE Demo if the host has enough free Player Slots available for them. Enjoy! And don’t let the zombies get ya! If you try this game and like it, you should also know that there is an Expansion Pack available for it. if you’re interested in playing “Zombie Plague” and are looking for opponents, please look here.